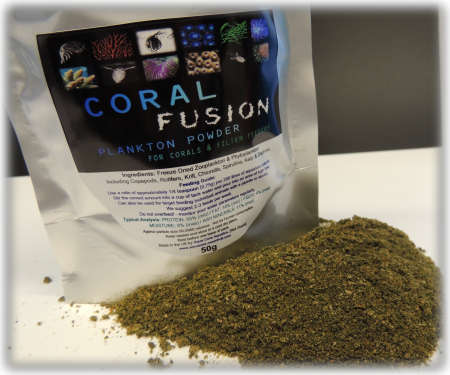 Coral Fusion is an all in one powder food for Saltwater Aquariums. Its designed to feed corals, inverts and filter feeders with multiple particle sizes. 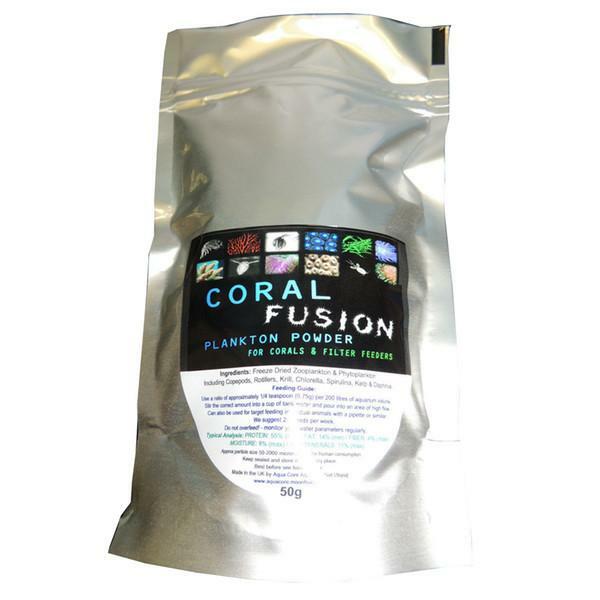 Ingredients include a range of micro algae and zooplankton including copepods and rotifers. It can be used to broadcast or target feed. This page was last edited on 26 October 2017, at 11:27.